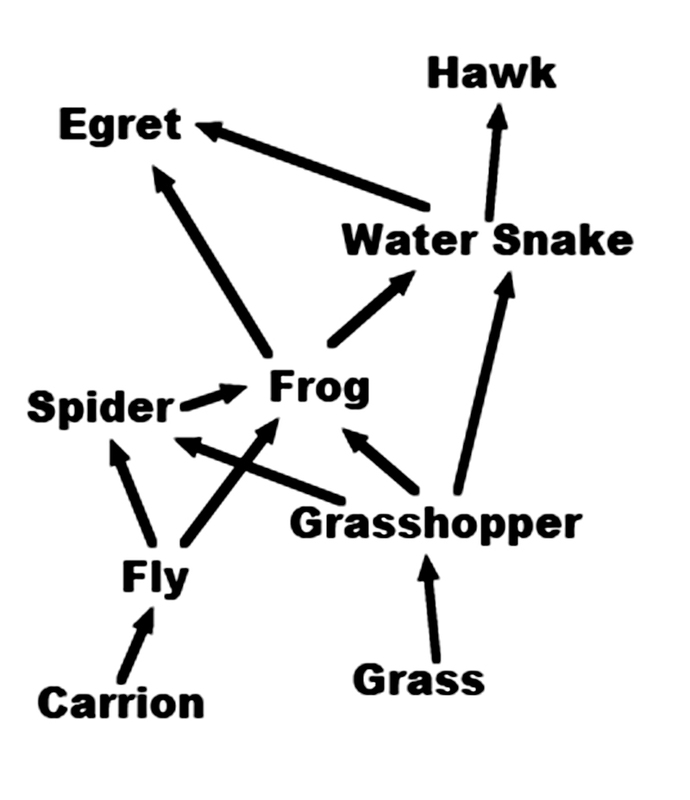 This is a simple chart showing how energy flows through some of the parts of a food web. For example, the arrow from the grass to the grasshopper shows that the grasshopper gets it energy by eating the grass. No. The egret does not eat hawks. Yes! Carrion is dead animals. When the hawk eventually dies, flies will get their energy by eating the dead body. You could also draw arrows from all of the other animals to carrion. No. The Sun is not on the chart, and The Sun does not get its energy from the hawk. There should not be an arrow leading from the hawk. No. Energy cannot be destroyed. It always goes back into the system.